My good friend, Jak-Jak asked that I draw this up for her. She wants a Capricorn symbol and when I tried to ask details of what she would like, she said "I trust you" and "Do what you want to". I love when people tell me that because it gives me the freedom to put my own artistic flair on it. I put myself in their shoes and imagine how I would want the tattoo design. She wants this as a side piece or possibly on her hip. I have been making my tattoo designs big so that it can be framed on a wall or something. So, here it is, the finished rendering of this tattoo. Here is a fun picture I wanted to share from a fashion show where me and Jak Jak dressed up as "chula gangsta's" lol Enjoy! I hope you liked it and that it inspired you! Many of us are quick to assume that if we are breathing and functional that we are actually "alive". Being alive is actually being the person who you really are at heart. You might be living your life, but that life may not constitute you being alive if you aren't living as the person who you really know you are. So many of us feel pressure to run our lives as those who claim they love us want us to live it. The people who really love you will allow you to live life as yourself, and will encourage you to follow your heart, as long as they know that it won't kill you. Following your heart is making a choice to be alive. Following your heart requires you to listen to no one but god and yourself in order to make your decisions. 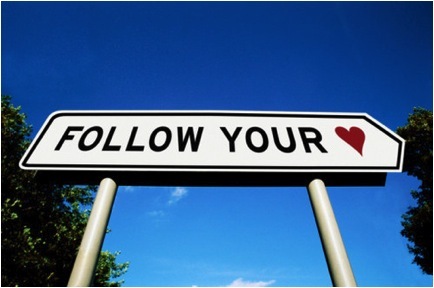 Following your heart will leave you fulfilled and will also lead to happiness. What are you following? Your heart's path? Or the path that everyone else wants you to follow?